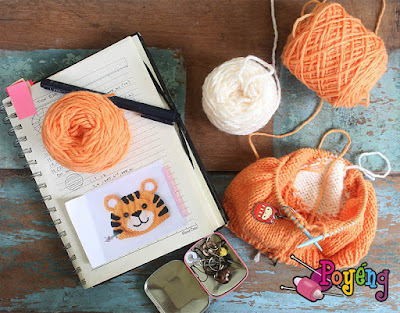 Lately i'm being busy doing my second book (a knitting patterns book that of course made in Indonesian language), and still in deadline now. But, it's clear that i can't live without knitting something! And looks like it's a trend lately, to give a boy friend some warm scarf. 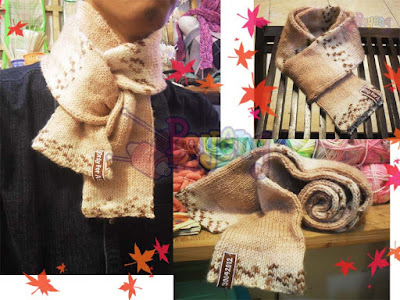 And this simple tube scarf's knitting pattern from karensvariety can be still so nice and fit for man, although i use a yarns that the motive usually used for children or girls. 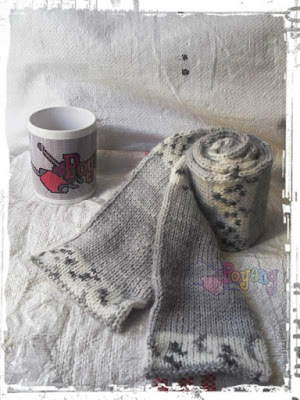 And the best thing from this pattern is it only need 2 SPN! Can you write those steps just in Indonesian language and no code pls? I wanna try but i absolutely not understand.